Hot rolled Inconel 600 (Alloy 600) plates supplied to a German company. Transportation details: from Xingang Port, China to Port Hamburg, Germany by sea. 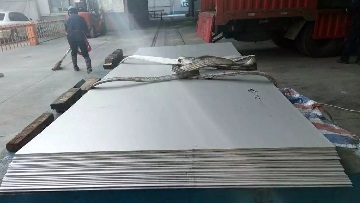 Inconel 600 plates, 4100mm(length) x 1960mm(width) x 6mm(w.t), ASTM B168 UNS N06600, hot rolled, annealed. All values are for hot-rolled Inconel 600 plates in the heat-treatment condition of annealing.